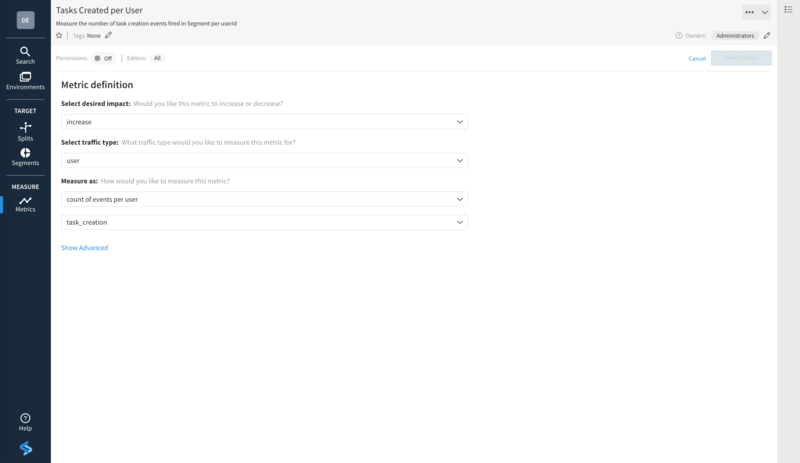 Split powers your product decisions with a unified solution for feature flagging and experimentation. Split feature flags are if/else statements that define the code path of a feature. Split SDKs support languages across the full application stack, safely hiding engineering work-in-progress until ready to release into production. 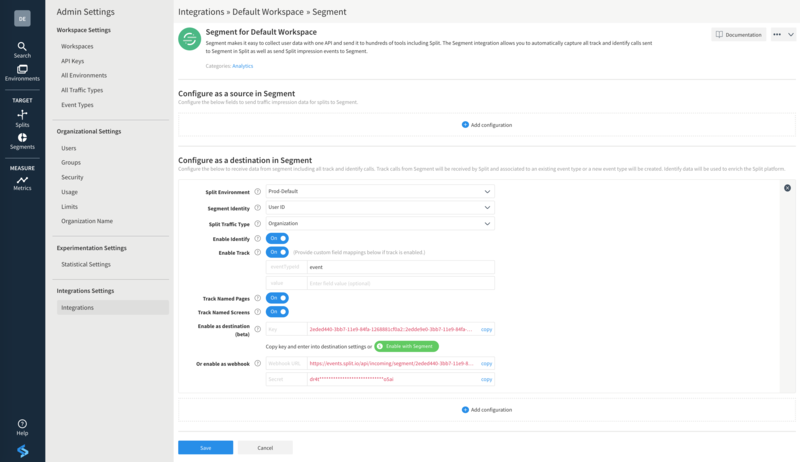 Use the Split console to define detailed rollout plans, gradually exposing features to subsets of users who are segmented by specific attributes or randomly distributed as a percentage of total users. The SDK decides what version of the feature to serve a user. Experimentation ties measurement to a feature flag anywhere in the application stack. 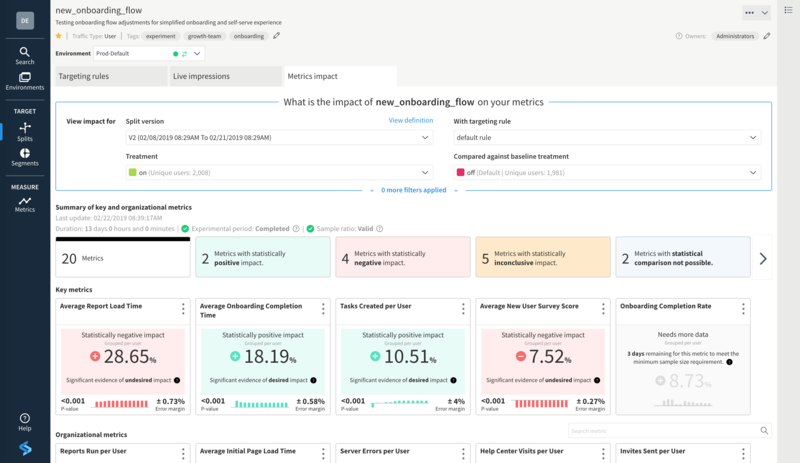 Split’s statistics engine analyzes the specific impact of each change on engineering, product, and business metrics by comparing users served a feature and those that were not. Split can be both a data destination and a source for Segment. 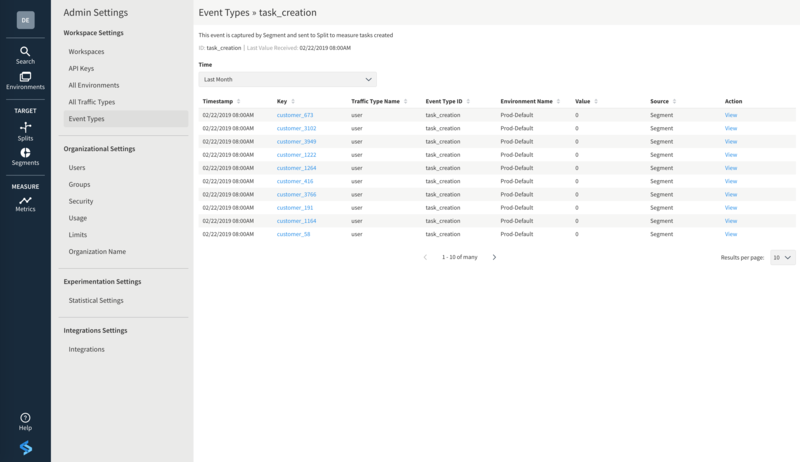 With Split as a destination, user events tracked in Segment are sent to Split where our statistics engine conducts causality analysis. 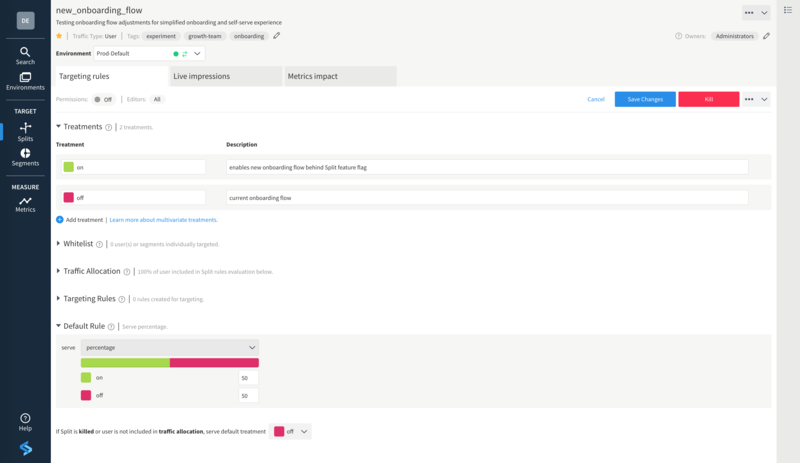 Define metrics within Split and apply to Segment events to measure the impact of new features on customer experience. With Split as a source, Split will send impression data from your feature flags to Segment available to be sent to any destination.